National League side Ebbsfleet United have signed former Manchester United trainee Febian Brandy. The 28-year-old forward, who has played internationally for Saint Kitts & Nevis, had been playing in Thailand for Ubon UMT United. 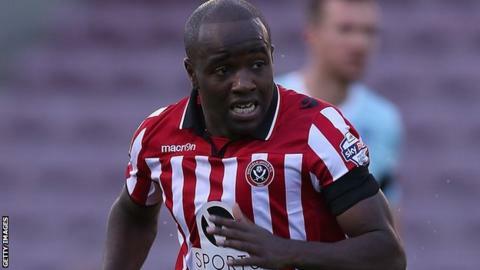 Brandy did not make a first-team appearance for the Red Devils but has had spells at Notts County, Walsall, Sheffield United and Rotherham. The Fleet have not disclosed the length of his deal at the Kuflink Stadium. Boss Daryl McMahon had been looking to strengthen his options in attack after striker Darren McQueen suffered a serious knee injury which could keep him out for the rest of the season.